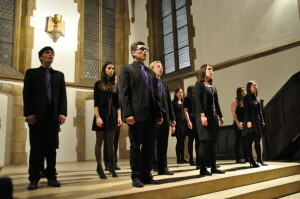 The NYU Madrigal Singers, directed by Nancy Shankman, and the NYU Jazz Choir, directed by Ira Shankman, have spent a week on tour in Prague, sharing their love of music and singing to people from another language and culture. 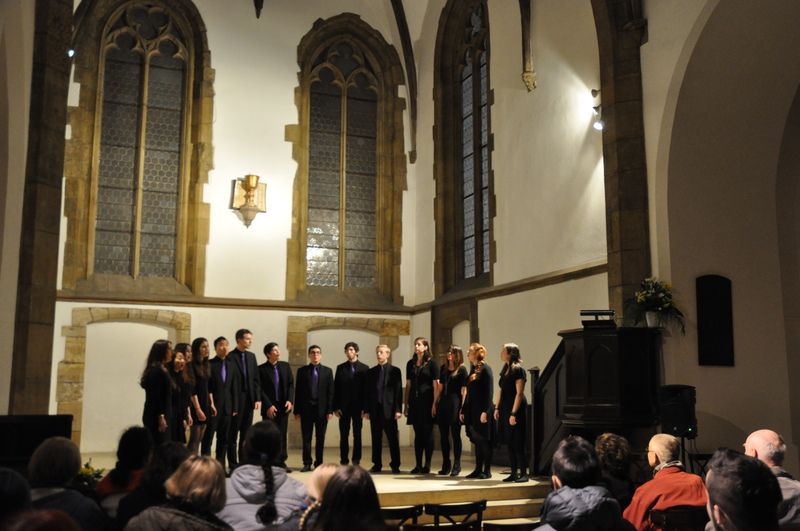 “We decided to come to Prague, in addition to it being a wonderful city and good experience for our students, we wanted to connect with NYU Prague, since many of our music education students are studying there this semester,”explained Nancy and Ira Shankman, who organized a similar tour at NYU Abu Dhabi 4 years ago. 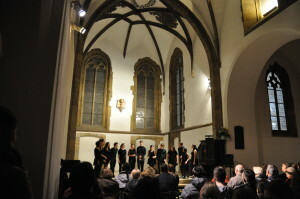 Concerts were presented at St. Martin in the Wall Church, in the Richter Palace of NYU Prague, and at a local Czech high school. “The students of the high school were very engaged, a wonderful audience, and some of them even came to other concerts,” said Shankman. The members of the choir, many of whom are music education majors, also are visited music classes at the International School in Prague. 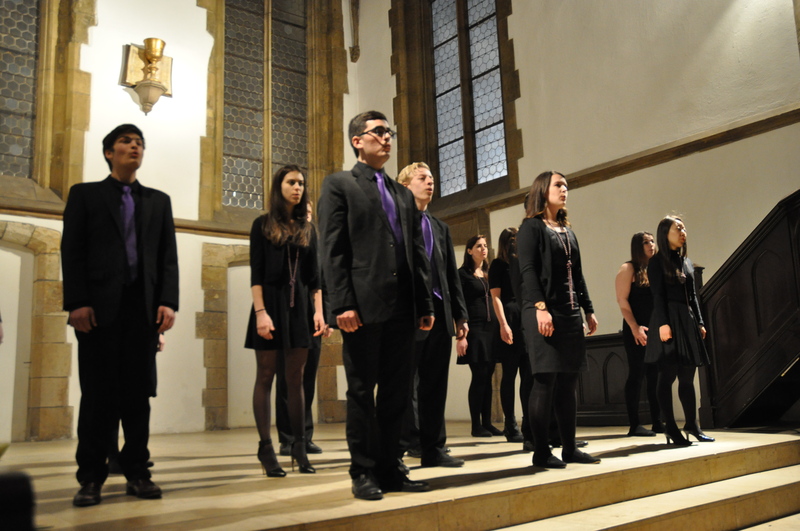 At NYU Prague, the Madrigal Singers and the Jazz Choir were joined by the NYU Prague Vocal Ensemble – a choir made up of current NYU Prague students. “It was great having the choirs from New York here, especially as four of the members were NYU Prague alumni who studied here in our music program,” said Marta Fleischhansova, the music program coordinator. The NYU choirs were impressed by the quality of the NYU Prague choir, led by NYU Prague profesor Marek Valasek and made up primarily of music education students from Steindhardt. The choirs perform all kinds of music, from classical to rock to musical theatre. The program on their Prague tour included classical music as well as pieces by Simon and Garfunkel, Steven Sondheim, John Lennon. The tour was partly funded by the performances that the NYU Choirs do outside of school. The Music and Performing Arts Department also contributed funds to this project.